Oprah Winfrey is branching out into food branded under her own name. She partnered with Kraft Heinz Co. (NYSE:HNZ) on her new line of refrigerated soups and side dishes. The products, branded “O, That’s Good”, start coming to store shelves this week. The ad campaign featuring Winfrey launches Oct. 2. O, That’s Good! is the first introduction from Mealtime Stories, LLC, the previously announced joint venture between Kraft Heinz and Oprah Winfrey. The company announced in January that it was working with Winfrey to develop new refrigerated products. Ten percent of Mealtime Stories’ profits will be equally split between charitable organizations Rise Against Hunger and Feeding America to support the fight against hunger. The products are marketed as healthy versions of comfort food. All eight items in the line will have no artificial flavors or coloring. The initial products being released include mashed potatoes with cauliflower, broccoli cheddar soup with butternut squash, and parmesan pasta with white bean puree. Suggested prices will be $4.99 for the soups and $4.49 for the sides. Winfrey’s endorsement and investment into Weight Watchers has breathed new life into the company. On Aug. 10, the company reported second-quarter profits of $45.2 million and 67 cents in earnings per share. That is nearly 50 percent higher than what it’d been a year ago. The former television host has seen the value of her investment surge to more than $400 million this year. Kraft Heinz said the new brand has no connection to Winfrey’s deal with Weight Watchers and won’t mention the program on its packaging. Winfrey became a major stakeholder in Weight Watchers in October 2015. 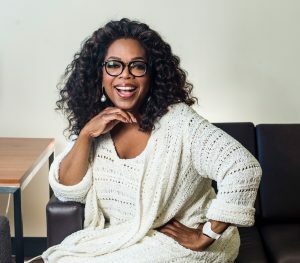 Winfrey’s empire also includes various entertainment ventures and O, The Oprah Magazine. Kraft Heinz has been struggling to ignite sales growth amid a prolonged slump and punishing grocery-industry competition. The largest food companies in the U.S. have lost almost $16 billion in sales over the past three years. Kraft Heinz hasn’t posted sales growth since the company was created in a 2015 merger. Kraft Heinz’s other brands include Oscar Mayer, Grey Poupon, and Jell-O.